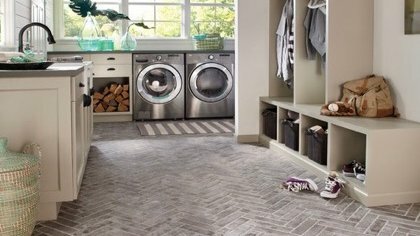 When designing a laundry room into your home plans, locate it where you'll use it most. That might be by the entryway mudroom, adjacent to the kitchen, or upstairs near the bedrooms. Let's face it: you spend a lot of time doing laundry. So, you might as well make the space inviting. 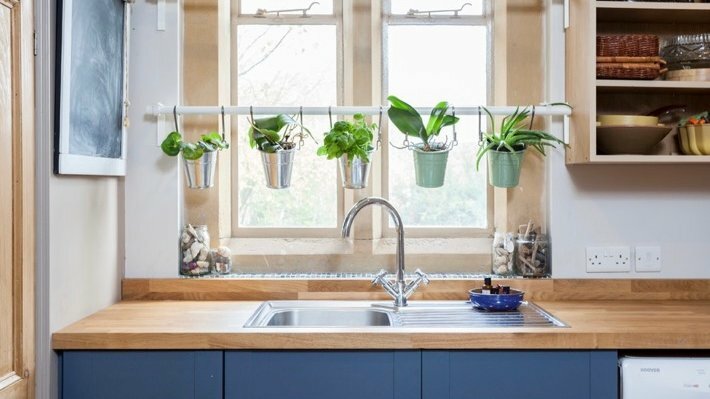 Add small potted plants by the windowsill, and stock up on nature-scented soaps and detergents. Floor space feeling too cramped for a drying rack? Look up. 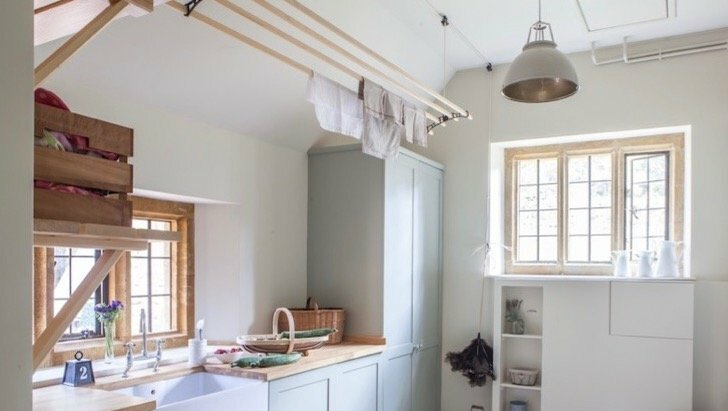 Suspend a drying rack from the ceiling for laundry lines that won't get in your way (and won't get blown away outside). 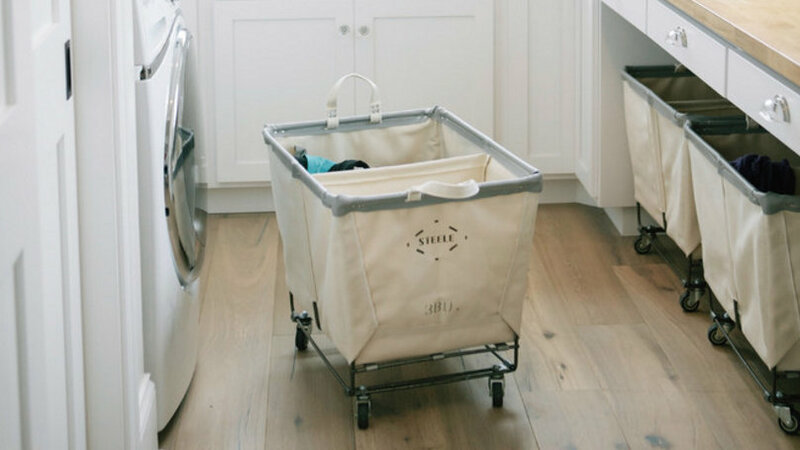 Keep laundry sorted by color (lights and darks) or recommended water temp (warm or cold) by sorting garments in multiple hampers on wheels. Do laundry where the dirt is. 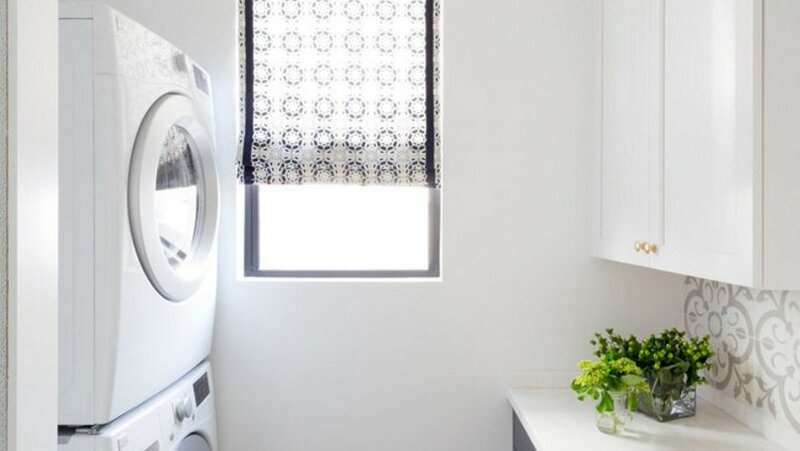 Design a washer/dryer unit into your mudroom so the kiddos can stash their sporting equipment and toss their jerseys in the wash in the same space—while keeping the mud in the mudroom. 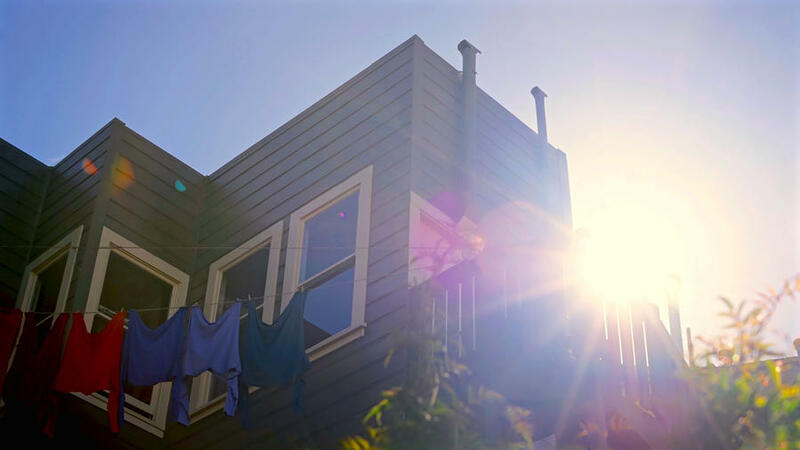 The best way to make clothes last and avoid shrinkage is to hang dry whenever possible. This also helps cut your home's electricity use, so it's a high-five for the planet, too. 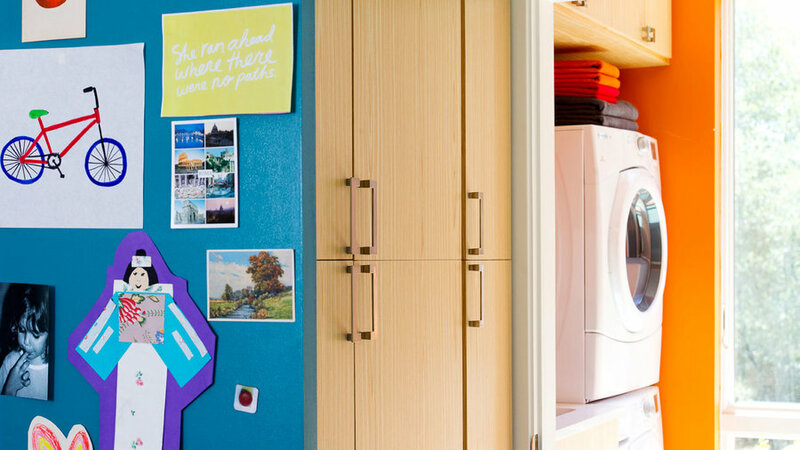 There's no reason your laundry room has to look like a cramped closet. 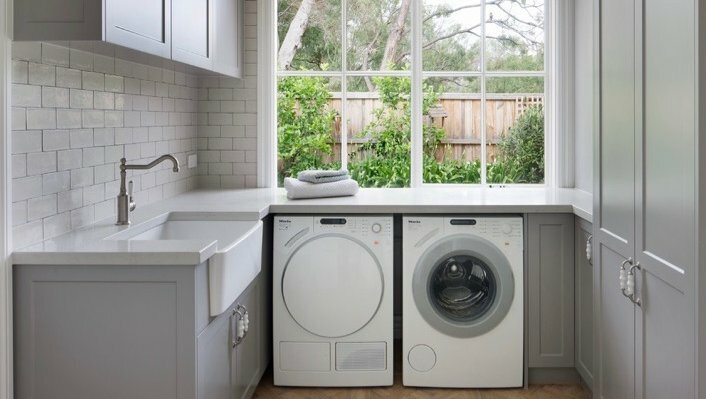 If you're designing a laundry space, design for both utility and comfort: consider cabinets, a sink, and a window view. Have lots of delicates that can't go in the dryer? 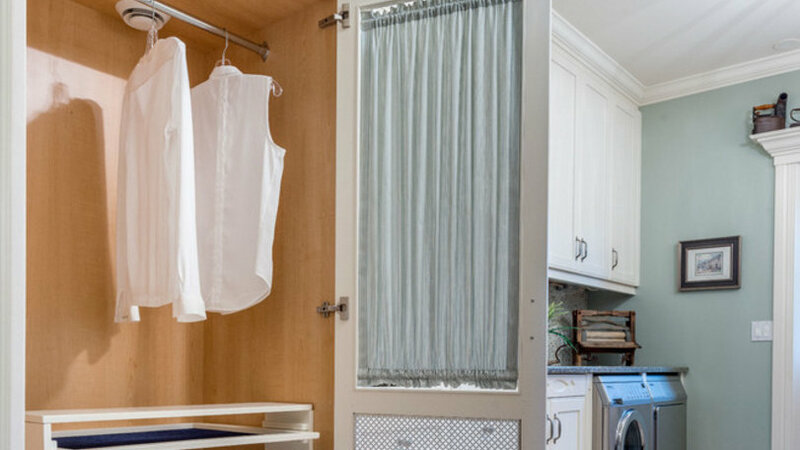 Consider a closet system with a hanging bar and drying racks to help your "air dry only" garments retain their shape. 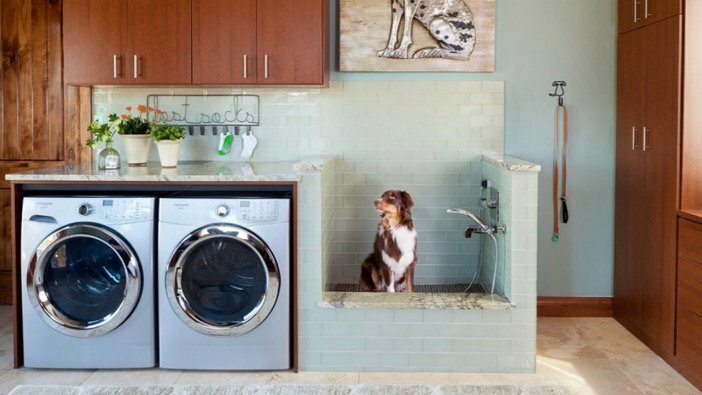 Just because it's the destination for dirty laundry doesn't mean it's a room without design opportunity. Consider patterned tile flooring, wallpaper, window dressings, the works. Choose a neutral palette to pair a serene look with the hum of the dryer.